Don't let this year's dead inventory become next year's storage issue. The Meadows Group is currently purchasing surplus products and raw materials for beneficial reuse. Need an alternative to disposal? Contact the beneficial reuse experts at The Meadows Group to address your unique situation. The Meadows Group has the experience to place obsolete or surplus products into viable applications. From aged commodities to specialty products, our team has a creative solution. Off-spec product still has potential for some applications. Consider the alternative when faced with a distressed load of material. Byproducts resulting from your manufacuring process could still have value to the right markets. Our team specializes in finding the value in difficult streams, and relieving the pressure from waste generation. With the end of the year approaching, The Meadows Group is working toward placing last-minute volume for clients around the world. Contact the reuse experts to discuss your individual needs. 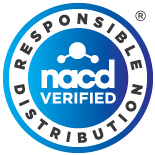 The Meadows Group is proud to be NACD Verified as a Responsible Distributor, and is fully committed to promoting and demonstrating best practices in chemical distribution. As the only NACD Verified distributor dedicated to beneficial reuse, The Meadows Group is anchored in the philosophy of Responsible Distribution, setting the example for how to operate at the highest level within our space. By choosing to work with The Meadows Group as partners in product stewardship, our suppliers know their materials will be handled with a level of integrity unmatched in the industry. Can I Recycle Some of My Industrial or Hazardous Wastes? The Meadows Group would like to present this quick primer on recycling your facility's industrial and hazardous materials. As professionals in the chemical industry, it is our responsibility to know how these guidelines and regulations affect our operations, and follow them diligently. These tips will help to promote compliance, even in the face of complicated regulations. In Texas, on the TCEQ's website, at www.tceq.texas.gov in full. Section 335 within Title 30 of the Texas Administrative Code (30 TAC) contains all relevant information on industrial and hazardous waste recycling. On the EPA's website, at www.epa.gov in full. Federal guidelines can be found in parts 260-265 within Title 40 of the Federal Code of Regulations (40 CFR). According to the TCEQ, "In general, the recycling of nonhazardous industrial waste is subject to significantly less regulation than is the recycling of hazardous waste (which can come from either industrial or nonindustrial sources)". Of course, there are some exceptions to this rule which can be found in Section 335 of the 30 TAC. Is the material "inherently waste-like"? If so, there may be very few ways for the waste to be recycled. Hazardous materials are governed by strict regulations concerning their management and storage. "Inherently-waste like" materials with the designations F020, F022, F023, F026 and F028 are always categorized as wastes, with no exceptions. Materials designated as F021, however, are not considered wastes only if they are used as an ingredient to make a product at the site they were generated. See 40 CFR Part 261 for a complete listing of EPA-designated hazardous materials. Current regulations require that generators must notify the TCEQ 90 days before they begin to recycle their industrial wastes. This is also true for facilities that receive and recycle these materials. 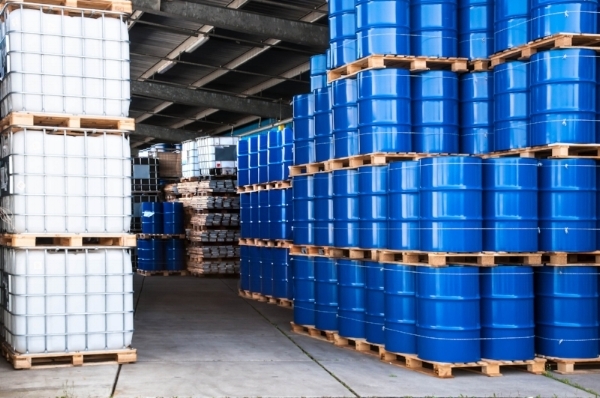 Additional permits may be required for further storage of industrial or hazardous wastes, if not included immediately into the recycling process. You can read the full TCEQ article in more detail here. Pages 3-4 contain a useful chart that can be used to quickly determine if your material is waste, or recyclable. The Meadows Group, LLC specializes in distribution and sourcing solutions for your by-product and co-product streams, recycled chemicals, and wide-spec materials. Contact our experts today to explore how our beneficial reuse programs can benefit your operations.